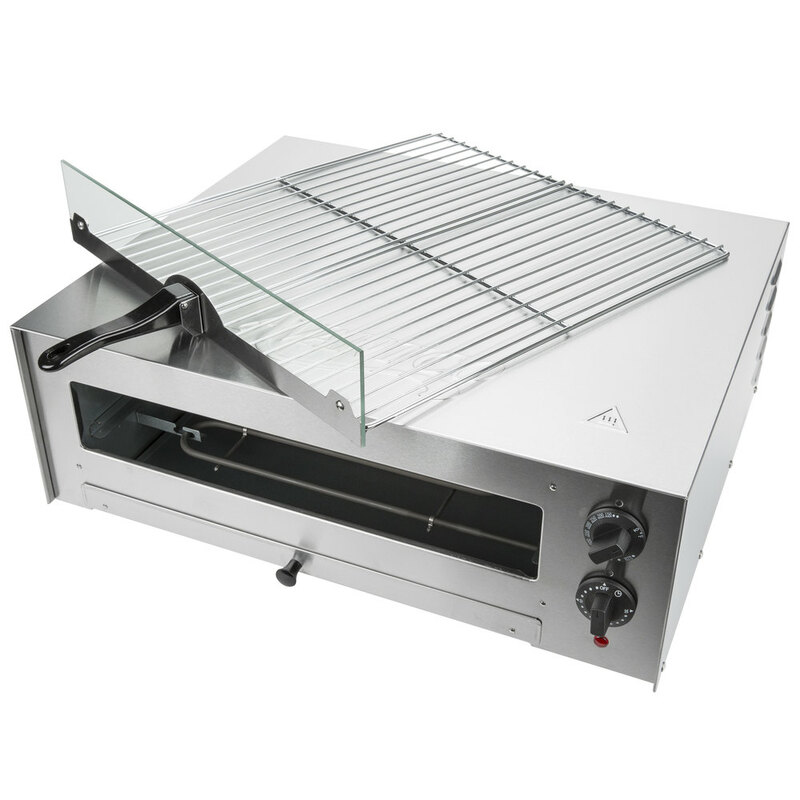 Quickly whip up deliciously cheesy pizzas and other warm snack foods with the Avantco CPO16TSGL stainless steel countertop pizza / snack oven with glass door! 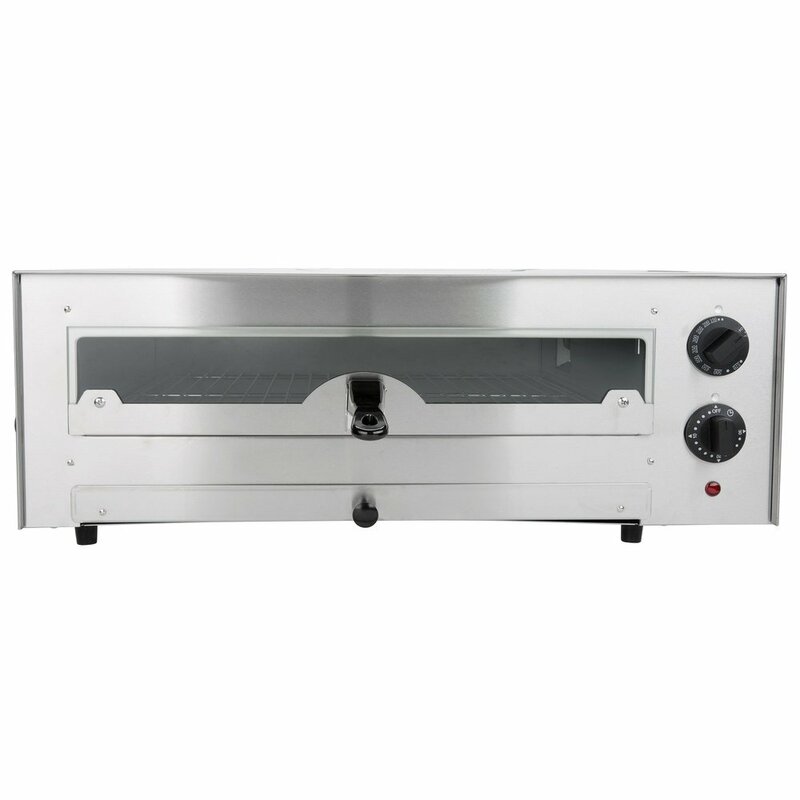 Great for snack bars, concession stands, and any place where customers are looking for a snack on the go, this Avantco CPO16TSGL countertop pizza oven makes it easy to add hot pizza to your menu. 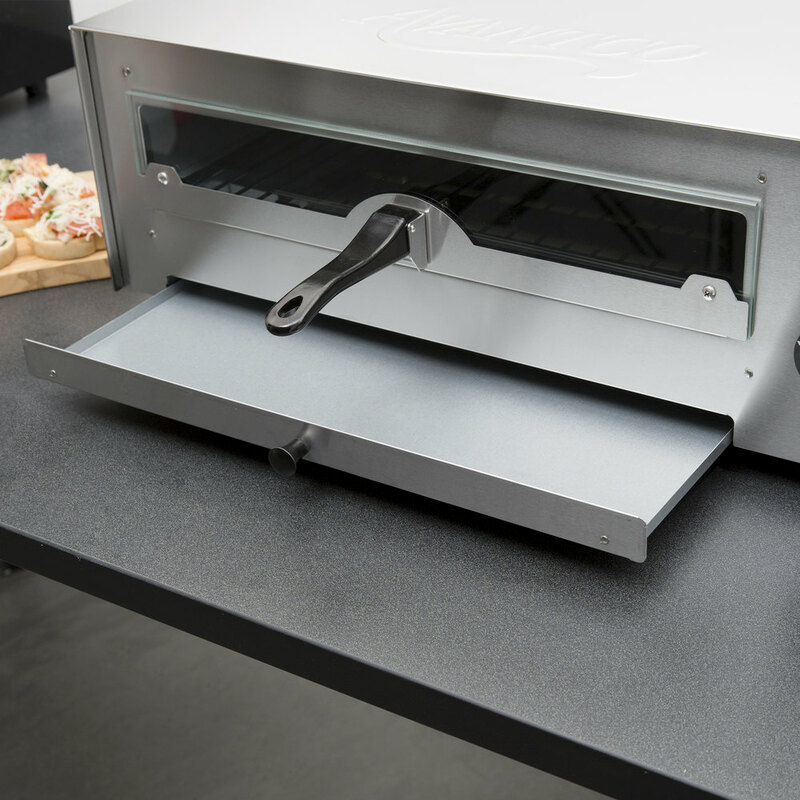 Boasting interior lighting and a glass door, this oven makes it easy to keep an eye on your food without having to open the door. 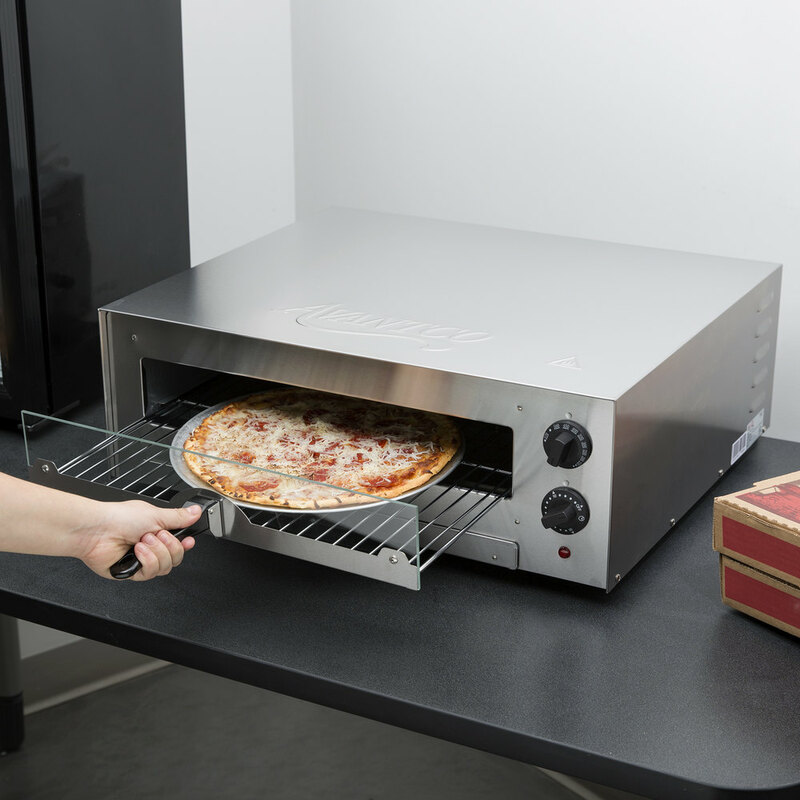 Two heating elements deliver a total of 1700W and a cooking temperature of 570 degrees Fahrenheit, giving pizzas a crispy crust in only 15-20 minutes. 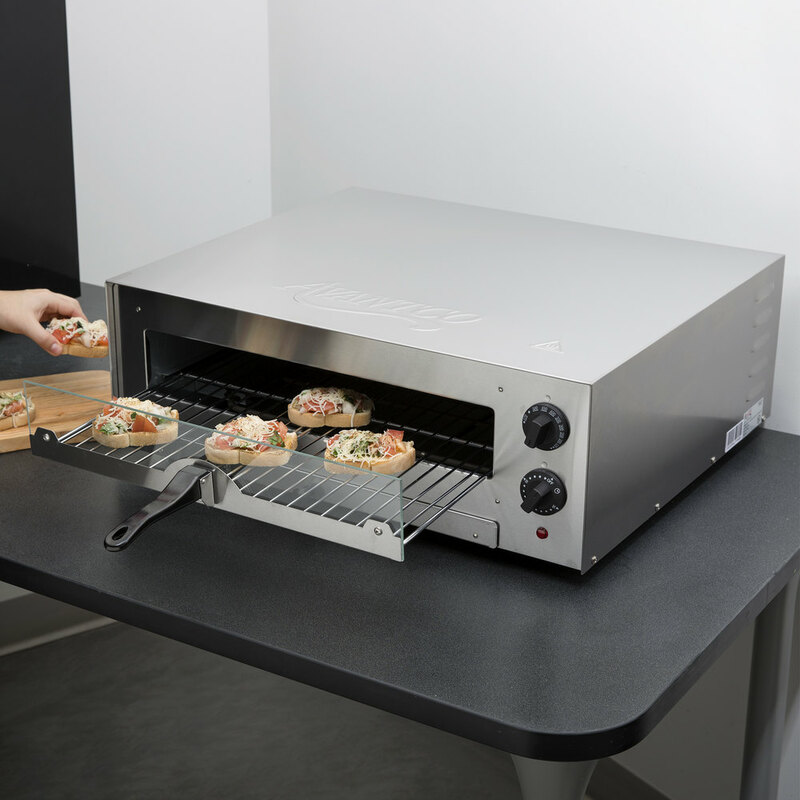 Thanks to a 30 minute timer and an adjustable thermostat, you can set your oven between 150-570 degrees Fahrenheit to perfectly bake each food item on your menu. 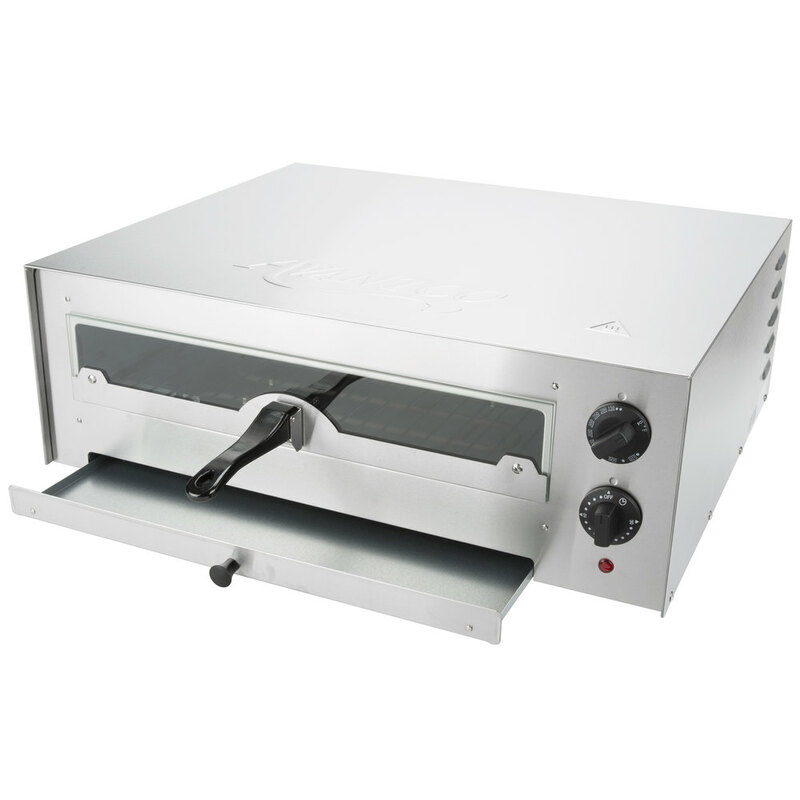 I bought two of these ovens when I first opened my Pub & Grub 5 years ago. They both have worked out great for doing pizzas with a frozen crust. I have gotten a lot of use out of them. 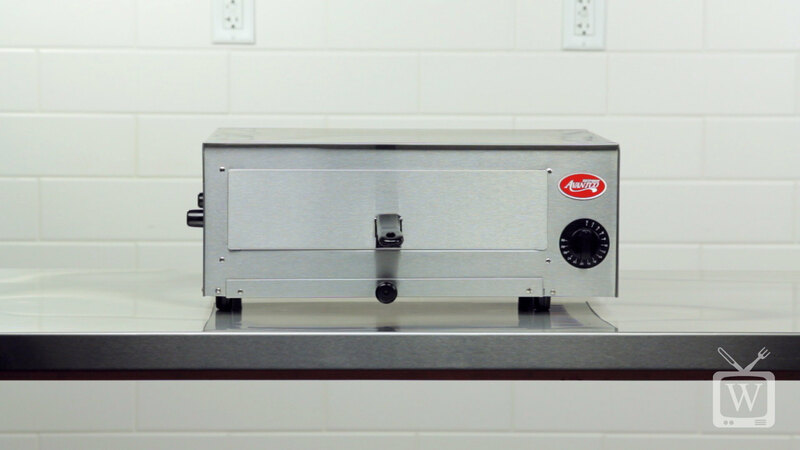 I also, used it for other snacks, garlic bread, and deep fried foods, even French fries until I purchased my prefect fry enclosed deep fryer. 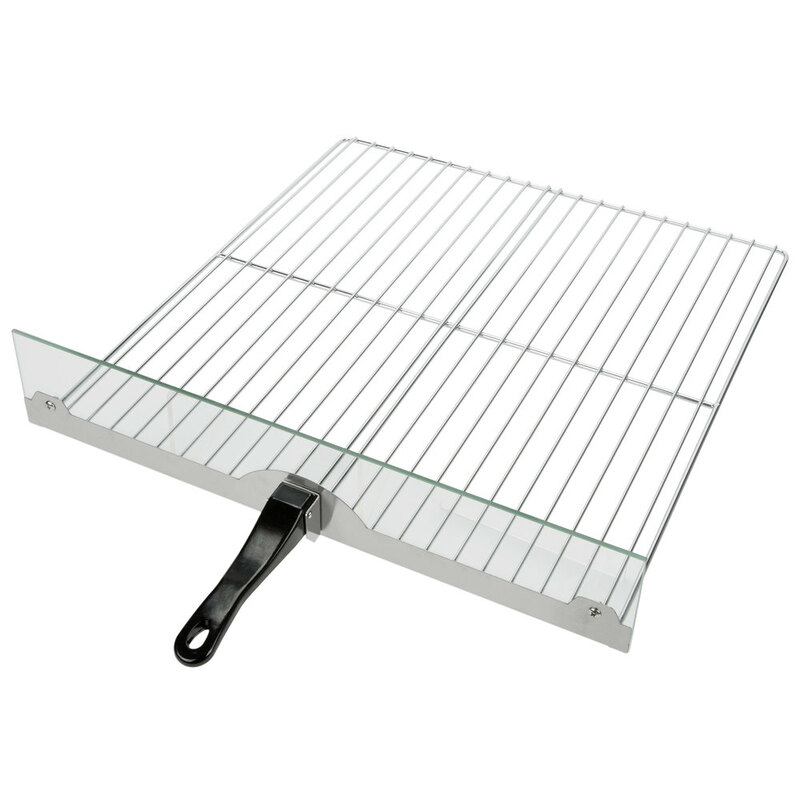 I since have purchased a third one but the rack on the third one has a lip on the end and makes it hard to slide pizzas off of it. After 5 year I had one of the rack hands break off, so that's why I'm here to try and order just a rack.